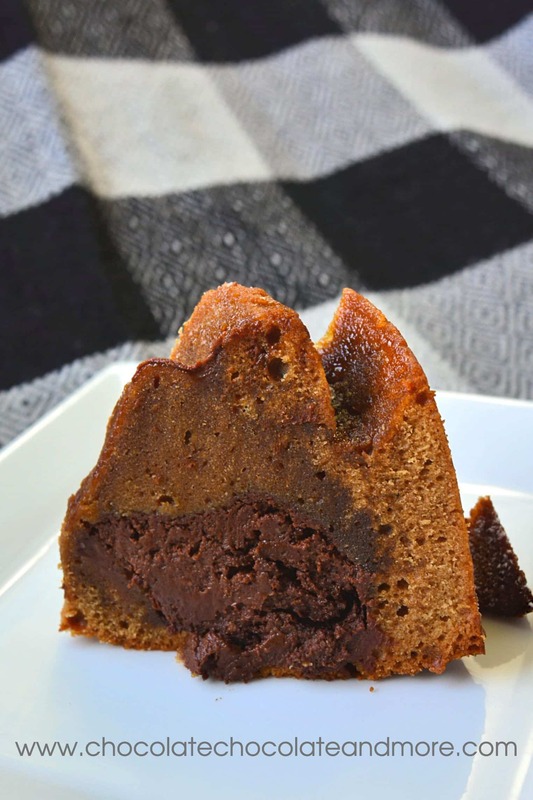 Cappuccino Fudge Bundt Cake - Chocolate Chocolate and More! 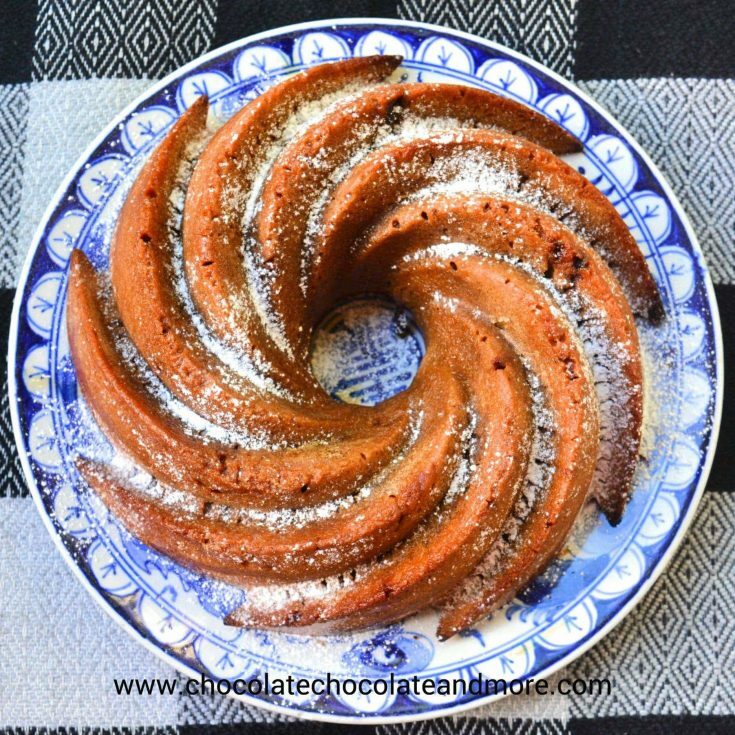 A slight touch of cinnamon and rich, fudge filling make this Cappuccino Fudge Bundt Cake a great dessert or coffee break treat. Today is World Chocolate Day and it’s also a good friend’s birthday. It’s also a date with a lot of sevens (7/7/17) so Cambodians view this as auspicious. There’s a new coffee shop opening on campus today and its grand opening is at 7 AM to get as many sevens in as possible. What better way to celebrate all these occasions than with cake? This recipe for Cappuccino Bundt Cake had mediocre reviews for flavor so I changed it up a bit. I added some more espresso powder and some cinnamon to give the based more flavor. If you don’t have espresso powder, you can use good instant coffee but you may need to add some more to get the flavor you want. Since I only have a 6 cup silicone bundt pan, I also cut the recipe in half. It only filled my pan about 2/3 full so you could make another quarter batch of cake if you want. I like the ratio of cake to fudge filling though so I left it even though the pan isn’t full. Even with the added espresso powder, the flavor is still not overwhelmingly coffee but it goes great with the fudge filling. If you really want more coffee flavor, you could make a Kahlua or coffee glaze or add even more espresso powder to the cake. I felt the cake was moist and flavorful enough to just top with a little powdered sugar. The fudge filling is really moist and that moisture bled into the middle of the cake (not necessarily a bad thing). This made the middle very moist and more spongy while the outside was moist with more crumb. My colleagues always have coffee at 9:30 AM so I brought this cappuccino fudge bundt cake to share. Cambodian, Australian and American colleagues all gave it a thumbs up so hopefully you will too. Preheat the oven to 325°F. Grease a 6 cup bundt pan (I used cooking oil on a silicone pan). Stir together the sugar and espresso powder to make the dusting powder, and use it to coat the pan well, tapping out the excess. Melt the chocolate in the top of a double boiler. I bring a pot of water to boil and then turn the heat off. I then put a mixing bowl that fits snugly on top of the pot on top and add the chocolate chips. Let it sit for a few minutes and then stir. Remove from heat. 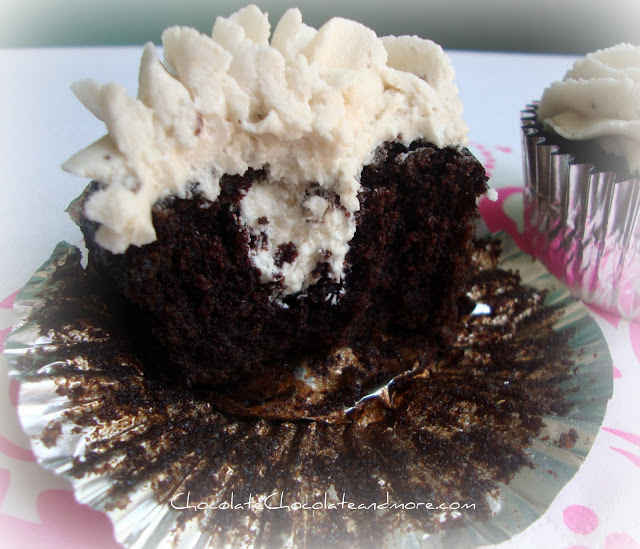 Mix the cream cheese into the melted chocolate. Mix in the egg. Spread all but about 1 cup of the cake batter into the prepared bundt pan. Carefully spoon chocolate filling on top. Leave about ¼ inch between the filling and the edges of the pan. If you want, use a spoon or spatula to make a groove in the cake batter before spooning in the fudge filling. Top with remaining batter. Bake the cake for 50 to 55 minutes. Remove the cake from the oven, cool it in the pan for 10 minutes, then turn it out onto a rack to cool completely before serving. 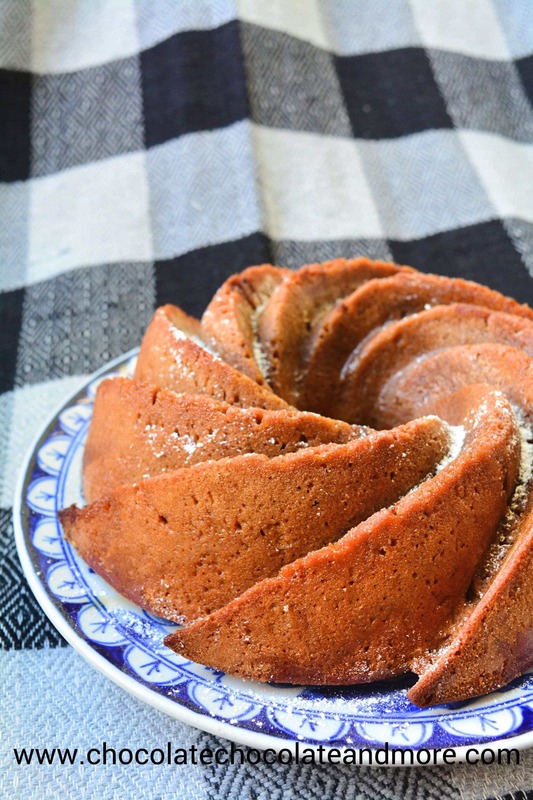 If you use a silicone bundt pan, cool completely in the pan before removing the cake. Double the cake batter recipe for a 10-12 cup bundt pan and increase cooking time to 60 minutes. Thanks for stopping by Madalin. Let us know how yours turns out!